By now you’re aware of our impressive “NY37 Playlist” that brought good vibes to NYC’s Garment District for most of 2017. Since then, we’ve picked up some West Coast tour dates. 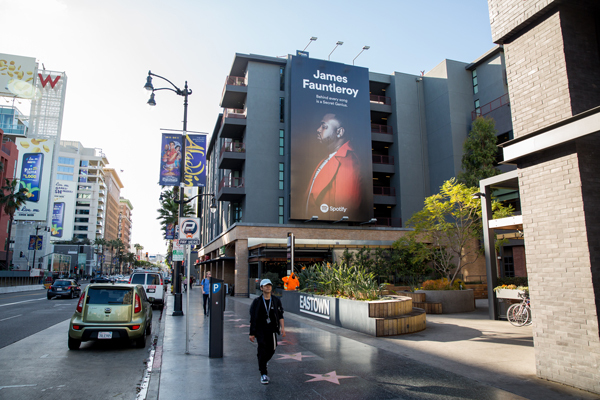 The Hollywood Walk of Fame in Los Angeles commemorates many past music stars who left their mark on the industry. Our Wallscape is a great chance for today’s artists to get some familiarity within the area they hope to one day be enshrined. Last week the East Coast was treated to an unusual day of mid-70s temperatures. Unfortunately, that came and went in the blink of an eye, leaving us yearning for more warmth and sunshine. So why not Visit St. Pete?! 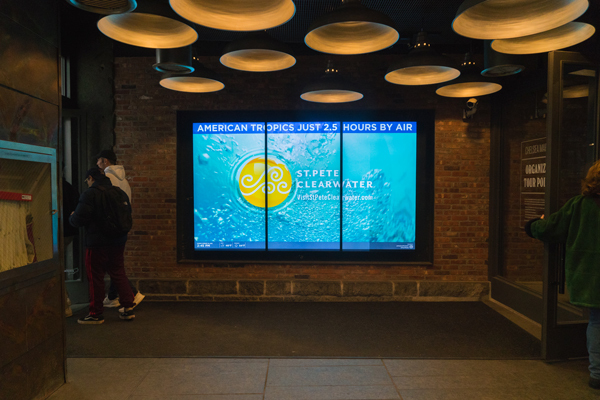 While travel agencies are a thing of the past, our Chelsea Market Feed is sure to inspire a warm getaway. It has long been an after work ritual to unwind by cracking open a refreshing cold one. 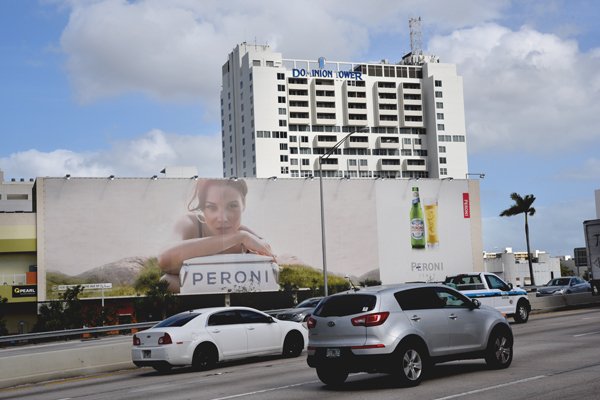 Our latest Peroni wallscape on the Dolphin Expressway certainly paints that picture for homeward bound Miami residents stuck in rush hour traffic. Everything is bigger in Texas, including wallscapes and cellular networks. 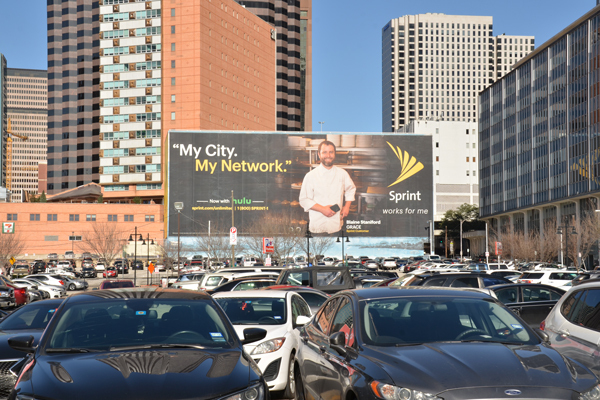 Looking to wrangle up some Lone Star customers, Sprint activated one of our massive Downtown Dallas wallscapes. At over 13,000 square feet, this wall has quite the reach. From Dallas to El Paso and everywhere in between, it’s important to have your network working for you. We’d like to introduce to you all the newest Pearl board members! From left to right, Danko, Eddie, and Bear were pretty tired after sitting in meetings all day. Ruff life, huh? 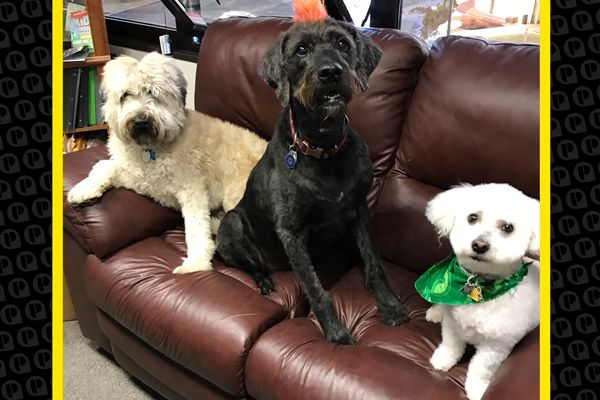 We have no doubt these three pups will help take the “compawny” to new heights!